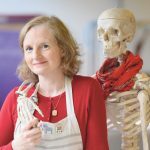 This blog has been co-written with Jennifer Gray, Programme director of Jewellery and Silversmithing at Edinburgh College of Art. 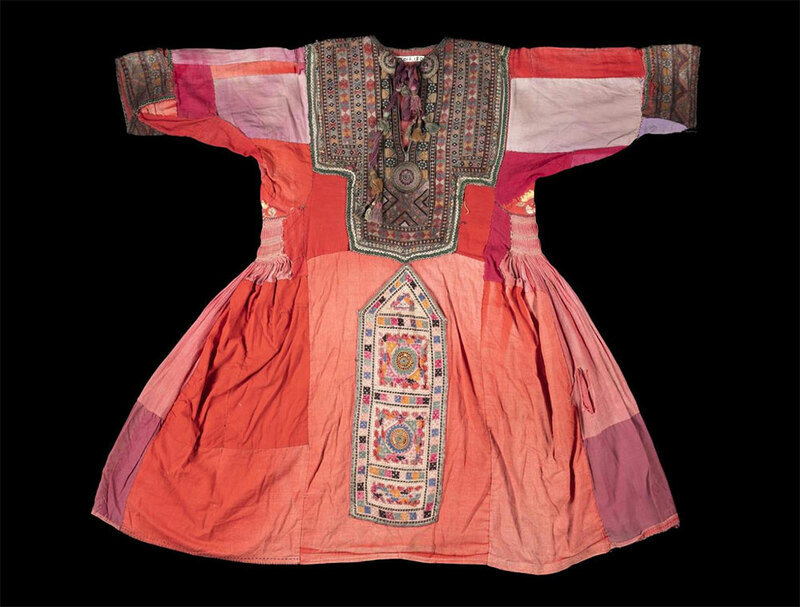 How can looking at Iranian textiles collected in the 20th century inspire 21st-century masters students to embrace new technologies? 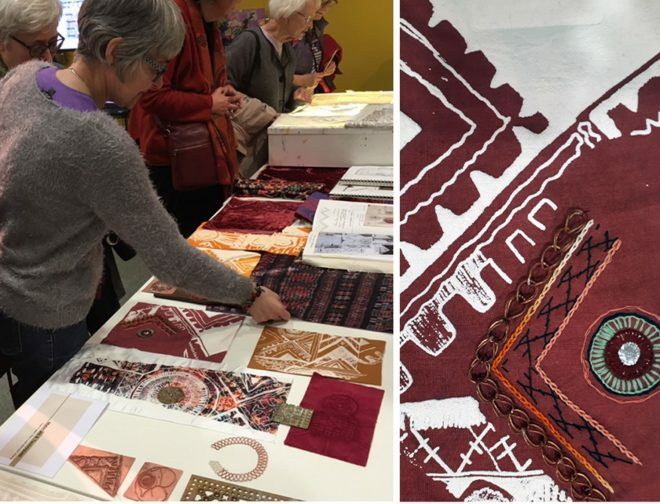 When National Museums Scotland’s curator Friederike Voigt invited Edinburgh College of Art to get involved with the Edinburgh Iranian Festival, our first thoughts were of students weaving, stitching, and pattern making in rich earthy coloured materials. This is 2019. It is important students learn from the past, whilst ensuring they connect this understanding with the future. 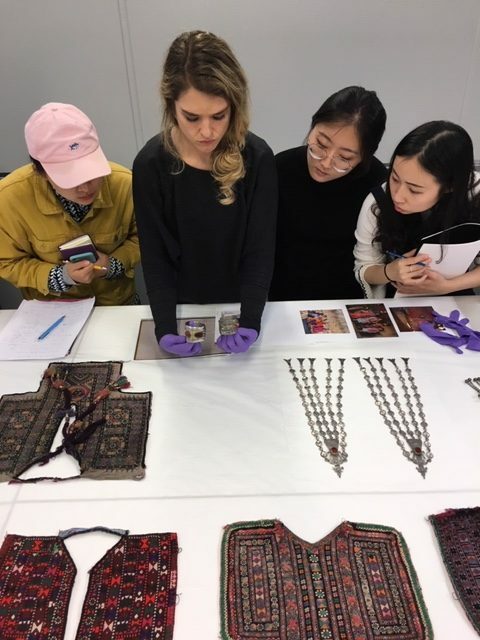 To shake things up, we invited masters students in textiles and in jewellery to work together studying Baluch embroidered textiles and Turkmen jewellery items, thus encouraging collaboration and cross-disciplinarity. This provided an opportunity for students to expand and deepen visual and contextual research methods, introducing new approaches for generating new data across their disciplines with selected objects as the starting point of the process. This supported the potential of true collaboration and teamwork, and the notion of the novice challenging the expert. We don’t always learn and innovate simply through relying on experts. Sometimes the innocent question of a child stimulates us to challenge our own accepted interpretation or understanding of design, material, a technique or technology. 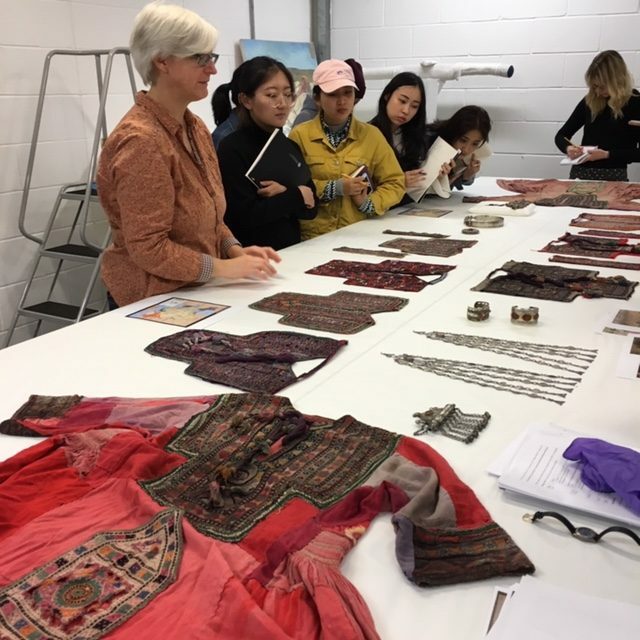 Friederike Voigt presenting objects to students at the National Museums Collection Centre. A field trip to the National Museums Collection Centre in Granton encouraged close study of the physical objects through sketching (with pencil) and photographing (on phones). We could even smell the textiles! A visit to the Museum’s lab provided students with a deeper understanding of how objects are analysed and conserved. The more information we can uncover the deeper our understanding of objects becomes and subsequently the more we yearn to know. New technologies can facilitate this. Scanning and printing as a research tool captured fine detail and new data. 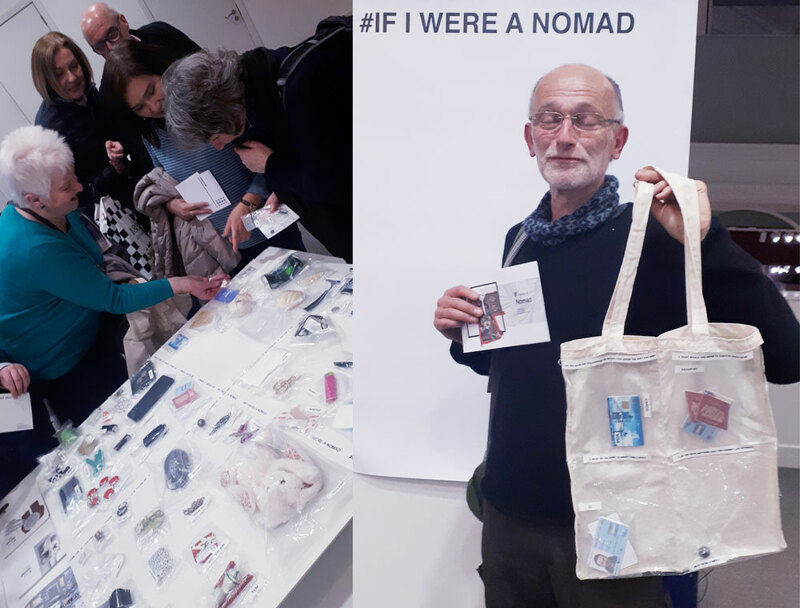 Asking questions of expert curators Friederike Voigt and Sarah Worden provided another layer of insight into the stories of the individuals who wore these pieces, and the people who brought them back here to Edinburgh. Such sessions incited deep discussion and curiosity that then fuelled individual creative responses stemming from the collection. 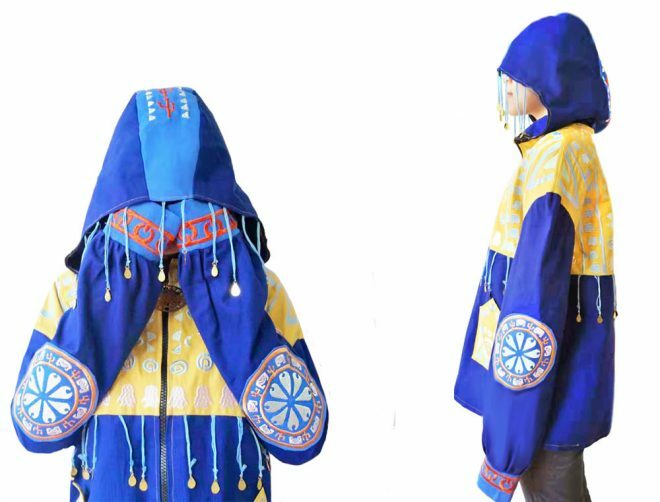 Students analysed materials, construction, cultures and traditions, generating new data and personal perspectives for the pieces. 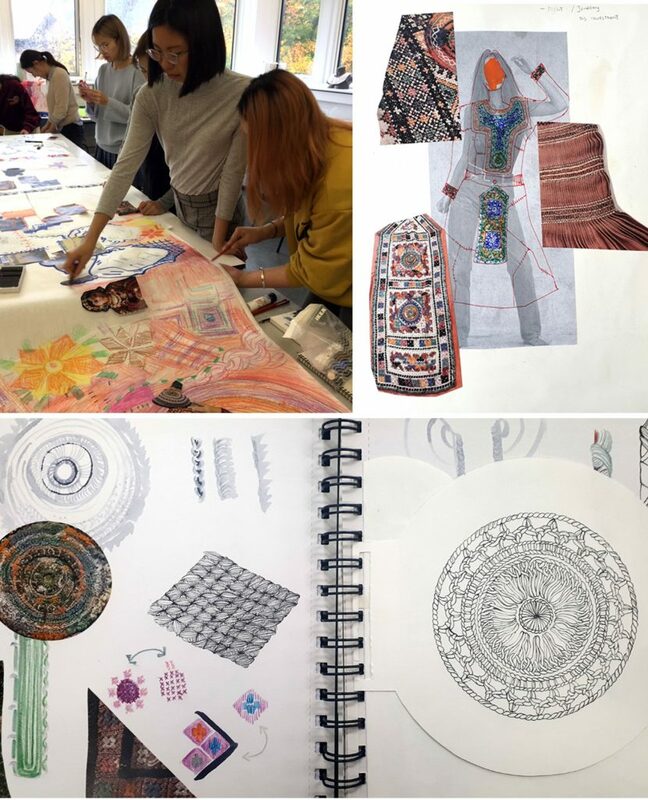 They explored research and investigation through visualising ideas and questions using collaborative drawing as a means of discussion and brainstorming to drive themes and connection to our contemporary understanding and experiences of the world we live in. 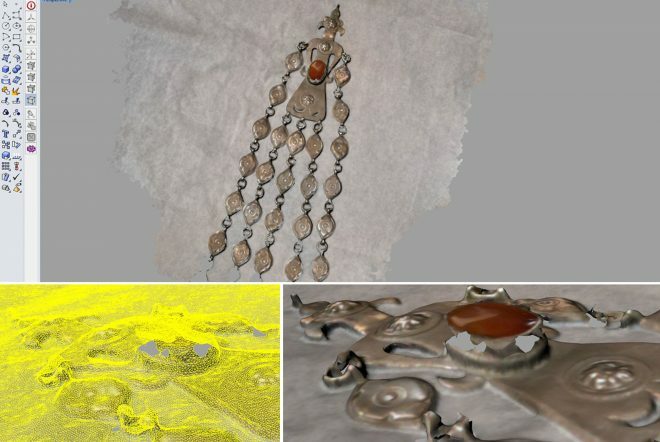 3D scans of the collection provided additional depth and understanding of the physical nature of the collection pieces. Outputs are connected with the past but driven by the future. We expected weaving stitching and earthy materials, we got threads wrapped in metal, 3D printed casts for textile embossing, a challenge to imagine ourselves as a nomad today, and social media symbols in a CAD embroidered hoodie.